A new year means promotions and new roles. If your company has a group of new managers, then it’s very likely many of them are thinking the above questions. Whether you were left to flounder when you started being a manager, had some great help, or have never managed yourself, there’s a lot you can do to help them succeed. One of the best ways is to give them a great book (or two). 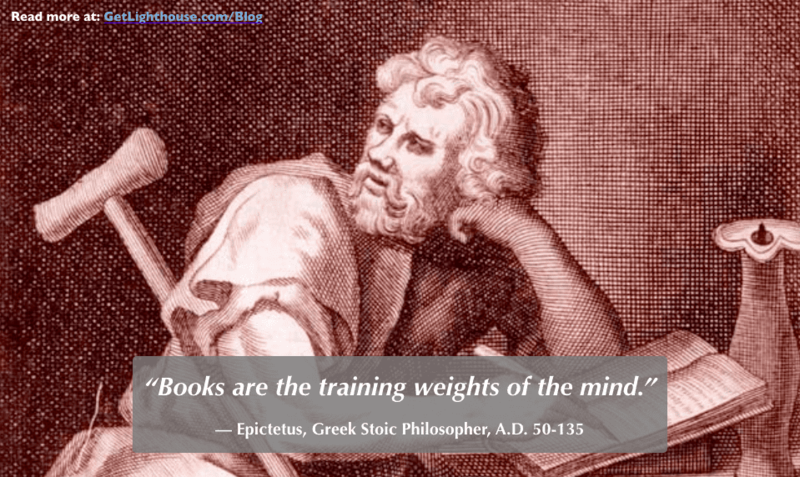 Books: The training weights of the mind. If you read books, you know how helpful the right book at just the right time can be. They’re like sitting down for coffee with an expert to get their best ideas on a subject. I’ve read hundreds of books, and would never be where I am in my career without their guidance and insights. And some of the best ones I’ve read have been gifts from friends, mentors, and colleagues. If you want to help a new manager (or group of managers), give them a book. It is one of the easiest and best ways to help them. The key is for it to be a *great* book. A great book is a priceless gift. A poor one is punishment. One of the challenges of gifting books is making sure it’s one they’ll like. Fortunately, if they’re a new manager, then you know a book on this subject will be timely and appreciated. Then, you just have to ensure it’s a great book. It’s super frustrating to be gifted a bad book; you’ll feel obligated to at least try to read it, and the whole time you will be wishing you’d spent that time reading something better. Then, you want to be gracious to the person gifting it, even though they whiffed on picking one for you. You have to straddle that line between being grateful and avoiding getting another dud from them. Short Length: I’ve never read a 300 page book that couldn’t have been a better 200 page book. Saying just the right amount on a point and moving on shows a skill and care many others lack. This is especially true as many authors are on a quest to hit a publisher’s page requirement. 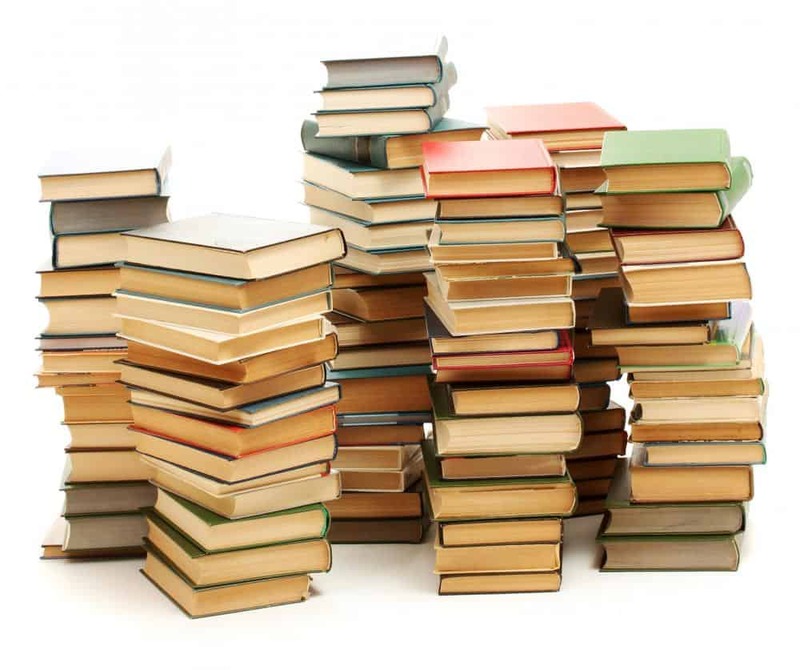 Great Depth: Too many books can have all their concepts covered in a single blog post. The best leadership books keep teaching you new insights right until the end, and add nuance to their points beyond overdrawn anecdotes. Timeless: As philosopher Nassim Taleb writes, the best books are more than 20 years old; that means that the ideas are not just a fad, but work long term. Once you apply this filter, a lot of books are disqualified. In fact, there are just 2 books we’re recommending today. Fortunately, they cover the most important skills and concepts a new manager needs to get right from Day 1 to succeed. So whether you’re a friend trying to help, or in HR and supporting new managers, you are on the right track with either, or both, of these books. Becoming a manager is more than a promotion. It’s a career change. With the new responsibilities of motivating, growing, and leading others, there’s a lot to learn at once. Unfortunately, there’s no time to learn by trial and error; you’re talking about the lives of other employees who will thrive, or suffer, based on the new manager’s actions. Remember: People leave managers, not companies. 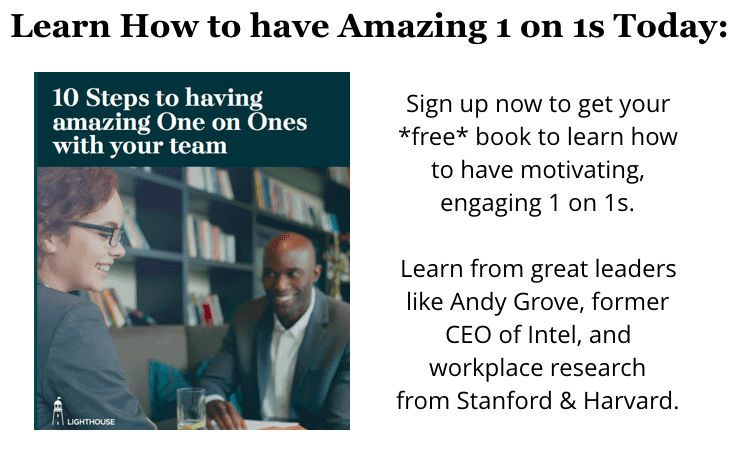 These are two of the best leadership books available, which can help any manager improve in some of the most important ways that will help them, and their team succeed. One of the cruel challenges of being a leader is that many of our basic instincts are wrong. Bossing people around, assuming the worst, and believing everyone thinks like us are some of the easiest rookie mistakes to make. Fortunately, Dale Carnegie is here to help. How to Win Friends & Influence People is a classic on leadership. 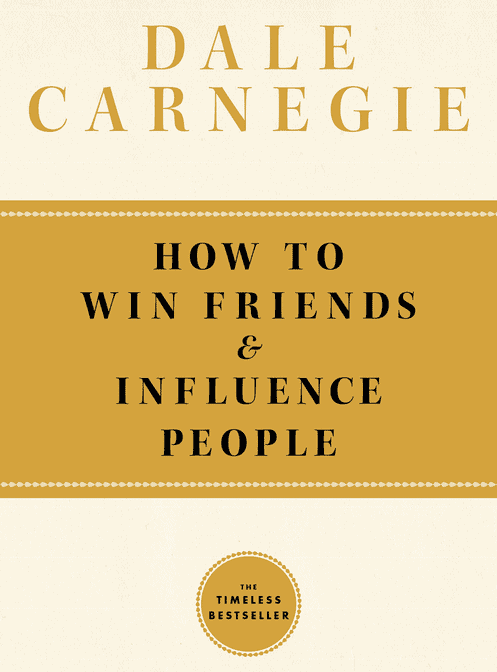 Carnegie breaks down in simple terms many of the most helpful ways to understand others, as well as how to accomplish all that a leader needs to by working with a team. Carnegie can give even the most rigid engineer essential lessons on leading others well. Short Length: Carnegie is efficient. He teaches 30 unique and insightful lessons across just 269 pages. Every page has a clear and helpful purpose. Great Depth: Despite only having about 9 pages per lesson, each is packed with anecdotes and a clear explanation of what you can do. As the entire book is about getting along with and leading others better, 30 lessons represents fantastic depth on the subject. Timeless: This book was originally written in 1937. The fact that it’s still a best seller over 80 years later is a clear demonstration of it’s timelessness. It also never gets old; I re-read it once a year because it keeps helping me get better every time I read it. If you want to understand what makes other people tick, how to motivate them, and win them over to your way of thinking, there is no better book. When you’re an individual contributor, work is straight-forward: you’re given a task, a problem, or a project to complete. You may collaborate with team members, but in the end, you’re in charge of a specific part of it. Ship the feature, close the deal, create the leads, and your work is done. As a manager, suddenly you have to be a multiplier. You’re not just focused on yourself or any one person on your team. Instead, you have to think about how everyone works with each other, and how your team as a whole can perform at its best. You also have to suddenly deal with people problems, sit in many more meetings, think more about managing up, and working cross-functionally. With all these new challenges, even the hardest working new manager is likely to struggle. Fortunately, this is where Andy Grove shines. High Output Management is the perfect book to help with a myriad of these challenges. Short Length: Grove is the king of conciseness. Coming in at a hyper-efficient 220 pages, there is no waste, and tons of great lessons throughout. Great Depth: Starting with his easy-to-understand example of running a diner making breakfasts, Grove teaches great lessons addressing many of the challenges we described above. 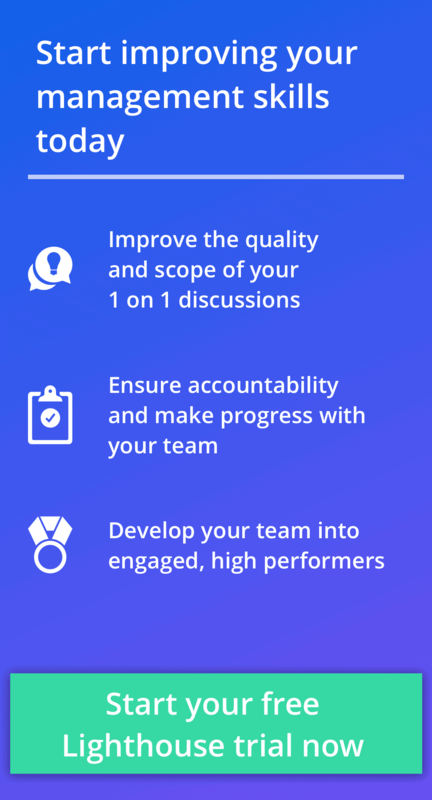 High Output Management covers one on ones, general meetings, optimizing systems, and dealing with the uncertainty of not knowing everything your team does. 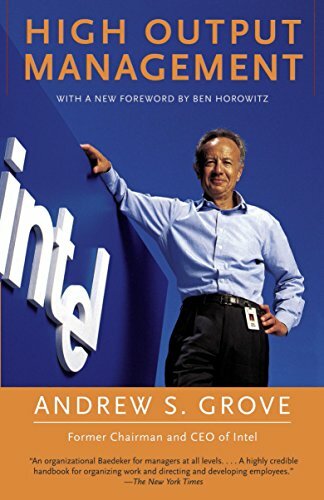 Timeless: Originally published in 1983, Andy Grove’s book continues to be consider one of the best leadership books by many leaders like Ben Horowitz, Mark Zuckerberg, and hundreds of people on Twitter. The lessons are as relevant today as they were nearly 35 years ago. Win these books for you or a friend. 2) Tweet this post and mention @Get_Lighthouse in the tweet. We’ll announce the winner on Twitter next Friday. What’s the best leadership books you’ve ever read?